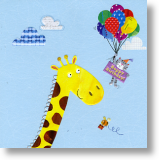 Look at our online selection of Birthday Cards for children or the young at heart! These bright and vibrant cards are the perfect way to say 'Happy Birthday' and send your best wishes. We have a wide choice of styles in our online card store including birthday cards featuring 'The Gruffalo' and cards illustrated by Quentin Blake. 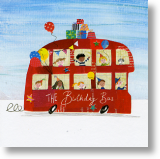 Same day posting if you order your Children's Birthday card online before 2pm Monday - Friday, first class postage as standard.